The Yamaha Club Series S112V speaker is a 2-way, passive P.A. 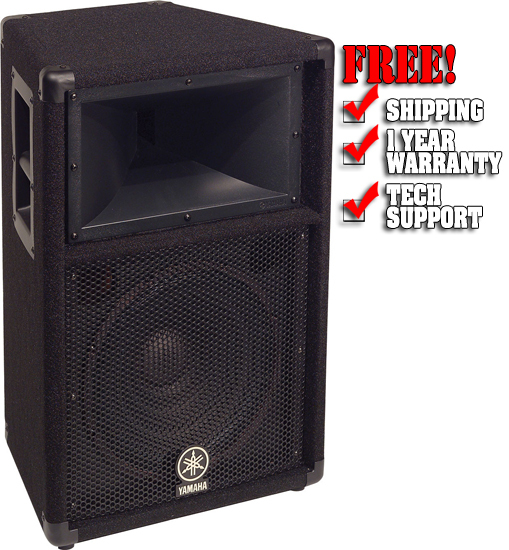 speaker suitable for club date, lecture, and smaller event applications. The sturdy particle board speaker enclosure of the S112V, made from the durable southern yellow pine, is covered with rugged industrial carpeting, and houses a high power 12" woofer and a 2" dome tweeter ensconced in a 90° x 40° constant directivity horn. The speaker's crossover network offers overload protection, and is assembled with top quality oversized coils, power resistors and high voltage capacitors, designed to produce optimum sound. A recessed stand mount is built into the bottom of the S112V cabinet, and the side-mounted steel handles, also recessed, allow for secure and convenient transportation. The connectors are high quality Neutrik Speakon and Switchcraft 1/4" types, and are mounted in pairs for convenient daisy chaining of multiple units. 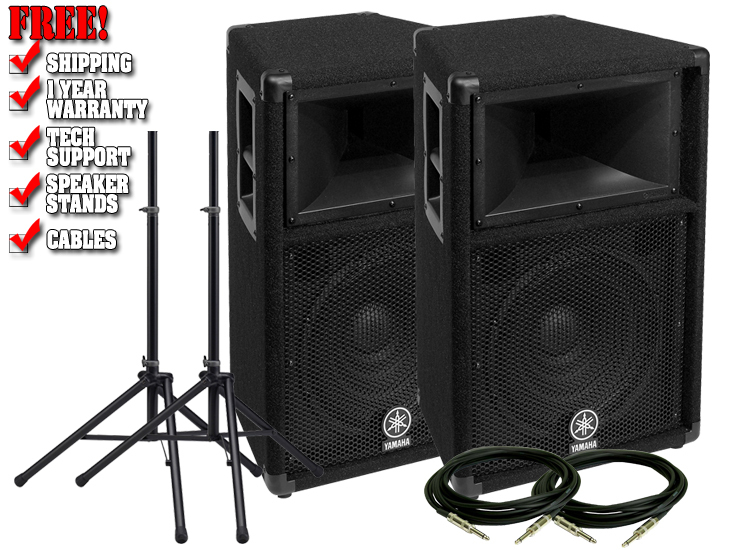 The S112V is moderately priced, and in terms of the quality of it's design and attendant components, represents a good, no-nonsense value for small bands, schools, lecture halls, meeting rooms, and other like venues.